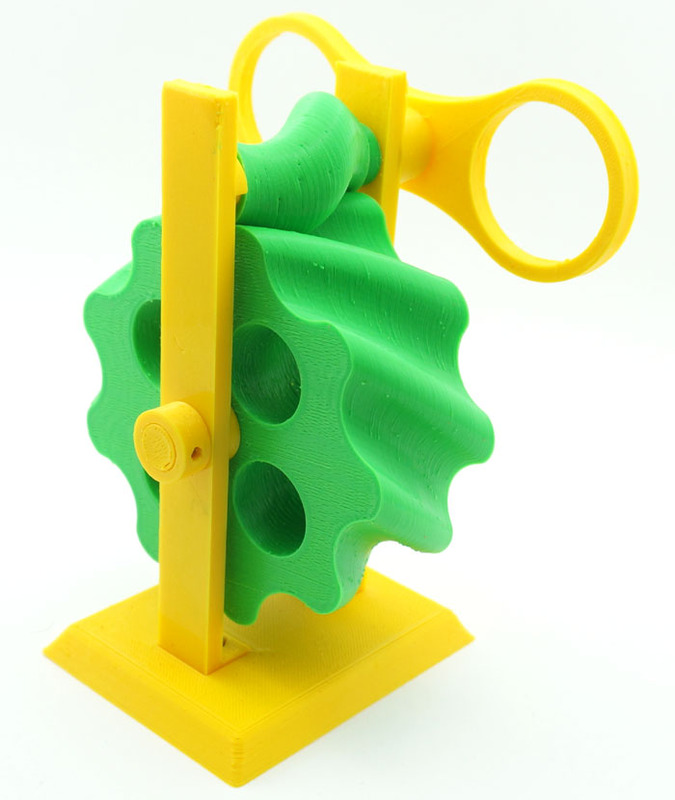 This is a fully functional model of the recently invented Eccentrically Cycloidal (EC) gear drive. This invention is so new the ink is still not dry on its patents. Print it out and become one of the first few human beings to ever lay hands on this mechanism. This futuristically looking drive offers a very high gear ratio (1:9 on the model shown here), and is quiet and efficient. This 3D-printable model is offered as a free download to the general public with the explicit permission of the patent holder. For more information about the EC gear drive, please go to www.ec-gearing.com. Enjoy your EC gear drive model!